The best Mother's Day gift I EVER got was my daughter, Sage Ani, who was actually born on Mother's Day 2003, at 2:10am, on a wonderfully stormy night that knocked down trees and flooded roads. But these sweet pieces from Blue Buddha Boutique would become lasting favorites as well!! Find out how to win them for yourself or your favorite Mom. 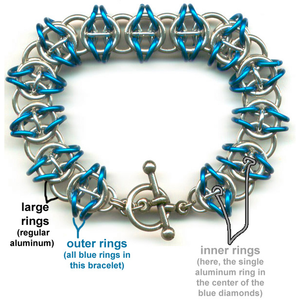 Gorgeous Blue Buddha Boutique chainmaille kits for crafty mamas! Enter for your chance to win this grand prize Mother's Day starter kit. Details below. Things are hopping for Mother's Day and we're stoked to be partnering up again with our friends over at Blue Buddha for another rockin' giveaway just in time for Mother's Day! You can gift the kits if you've got a crafty Mama in your life or DIY and gift the finished pieces. Disclosure: Thanks to Blue Buddha for providing a bracelet kit for our giveaway. My Mom showing off her necklace given by the grandkids and made by friends of ours--another mom/daughter jewelry & giant hula hoop making team at Hoops & Loops. Love 'em or loathe 'em, everybody's got one... and we wouldn't be here without our mothers! I had a creative childhood, myself, and encourage the artistic streaks in both of my kids (10 & 12) now. My mom was an elementary teacher then an ESL (English as a Second Language) teacher till she retired and she was all about DIY projects. My Dad's side of the family is full of artists. Even when my Mom and I can't see eye to eye on politics, religion, music or life styles, art unites! 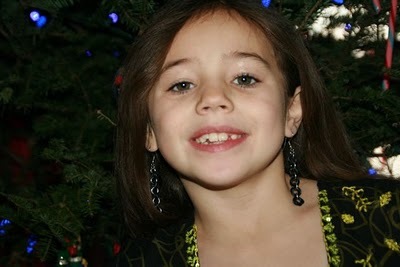 We can bond over photography, jewelry kits and art projects with the kids/grandkids. We can all thoroughly enjoy a multigenerational trip to Chicago's many art museums. We can bond over a family art class or workshop and have a great time creating something beautiful and lasting together. I love chainmailling with both of my kids! They're developing patience & small motor skills. They're creating amazing stuff they're truly proud of. And as an added bonus, sometimes they gift them to ME. They've made me some of the coolest pieces ever. I treasure them and get tons of compliments when I wear them. stormy personality to match her Mother's Day birth night! The night of her birth, there were tornadoes in the burbs that almost prevented our midwife and dr from making it to our home birth! I stood at the open door, watching the lightning rip through the sky and the rain cascade down, and I realized what a powerful force birth and motherhood truly is. Honor your mother with something as cool and unique as she is! Motherhood is mysterious, magical, and memorable and we're inextricably linked to our mothers and their mothers before them back throughout history... So what's a more fitting gift than the interconnectedness of a gorgeous chainmaille piece? ChiIL out with ChiIL Mama and a "Celtic Visions" project kit ($24.95 value) giveaway in winner's choice of colors. Click the rafflecopter link below to enter. "Celtic Visions" bracelet kit: available in Aluminum, Copper or Jewelry brass with two customizable colors, will include PDF instructions for right or left hand. Click here for full bracelet kit details. Enter through midnight May 8th, announced May 9th. GRAND PRIZE BLOG POST - Giveaway closes May 8th, announced May 9th. Readers should comment on this post on the B3 blog to enter the grand prize giveaway. Click here to enter! Check out images and quotes from three very talented chainmaille jewelry artists, Rebeca Mojica, Spider and Sara Richardson. After reading, leave a comment honoring a woman in your life (or sharing your own experiences as a creative parent) to be entered to win* one of our limited edition Mother’s Day Chainmaille Starter Packs. 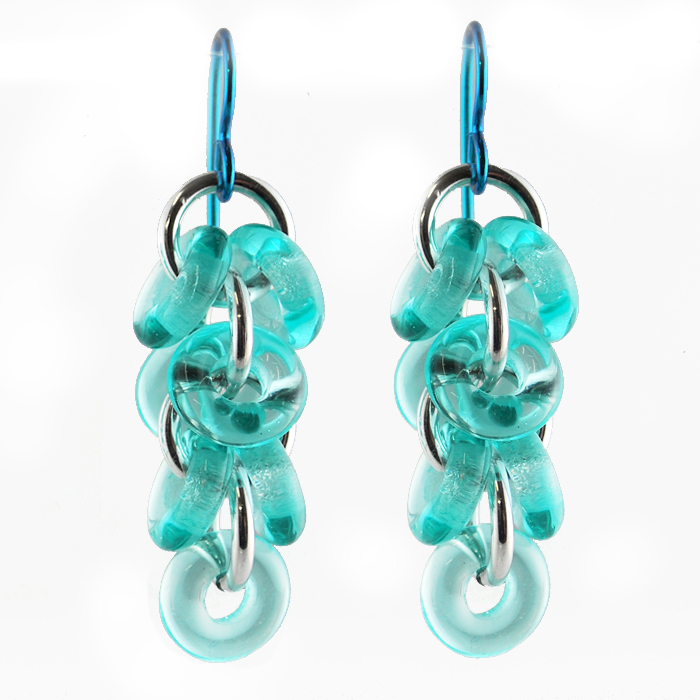 We’ve made this all-inclusive kit extra special for mom with our beautiful glass rings in two feminine color options (Shaggy Loops bracelet – shown left in copper w/ light rose glass rings, Shaggy Loops earrings – shown below in aluminum w/ seafoam glass rings.) It’s a great way to share you love of chainmaille with someone in your life or create a handmade gift for someone! *Check out each of the blogs below, for more cool, Mother's Day content & more chances to win all week, leading up to the big day! Links will be updated & become live HERE as each posts. Check out ChiIL Mama's past photo filled Blue Buddha coverage here. 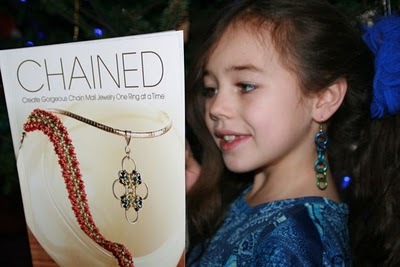 Have always wanted to try chain maille! Well, I've clicked the raffle copter link 3 times and it just takes me to a page to sign up. Would love a chance to win this, but I don't see how. Generally if you sign in with Rafflecopter 1 time only, ever, it keeps your info confidential & you can then enter any forms without reapplying. The winner can then be picked by a random number generator to be totally fair & impartial. We never keep, share or spam with your info. Your e-mail will only be used to contact you directly if you are the winner. If you really don't want to do that, or the form won't work, you could comment here and we can count you in manually. I would love to win this. I haven't done any chain maille in AGES and would like to get back to it!